According to a report published by the India Brand Equity Foundation, the Indian tourism and hospitality industry is poised to generate more than 13.45 million jobs. There has been an increase in both inbound and outbound tourism with the rise of disposable incomes among the billion-strong population in India and the increasing interest in India among the global community. The country is also attracting more investments in this sector from both domestic and international players. This includes everything from luxury hotels and resorts to the neighbourhood fast food kiosk. With the tourism and hospitality industry being one of the key services sectors, there will always be a demand for trained professionals in this field. This is why Sona Yukti, in collaboration with the Government of India, NSDC as well as other organizations, is providing niche and certified courses in this field. In the financial year 2015-16 we completed a project titled "HUNAR SE ROZGAR TAK" under the sponsorship of the Department of Tourism, Jharkhand govt. 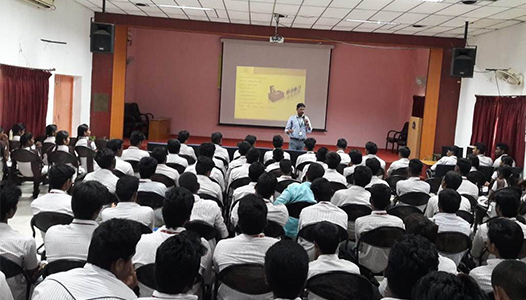 We trained and placed 190 candidates with various hotels. These courses will open up the world of tourism and hospitality to youngsters who have the drive and ambition to make a mark for themselves in this field. Sona Yukti offers diverse courses that are tailored to different educational backgrounds and interests, thus making this industry accessible to all.